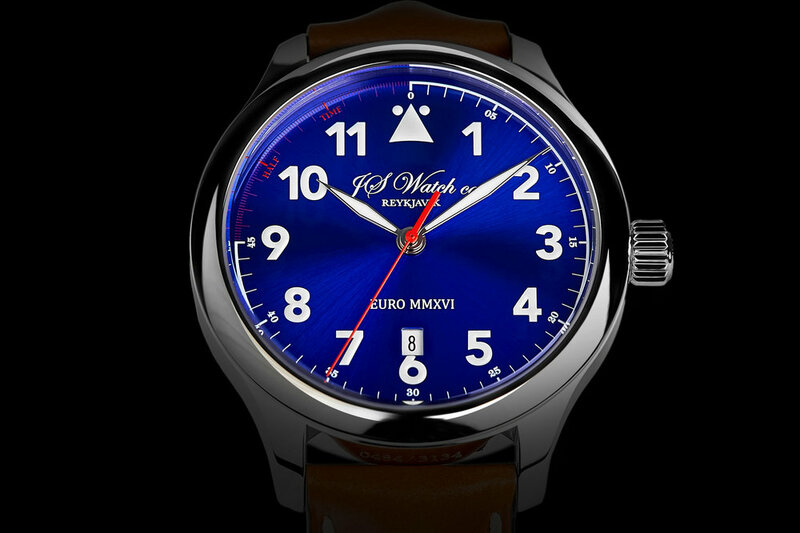 The collaboration of a watchmaker, collector and designer has produced the JS Watch co. Reykjavik, one of the world’s smallest manufacturers of stylish, quality watches. 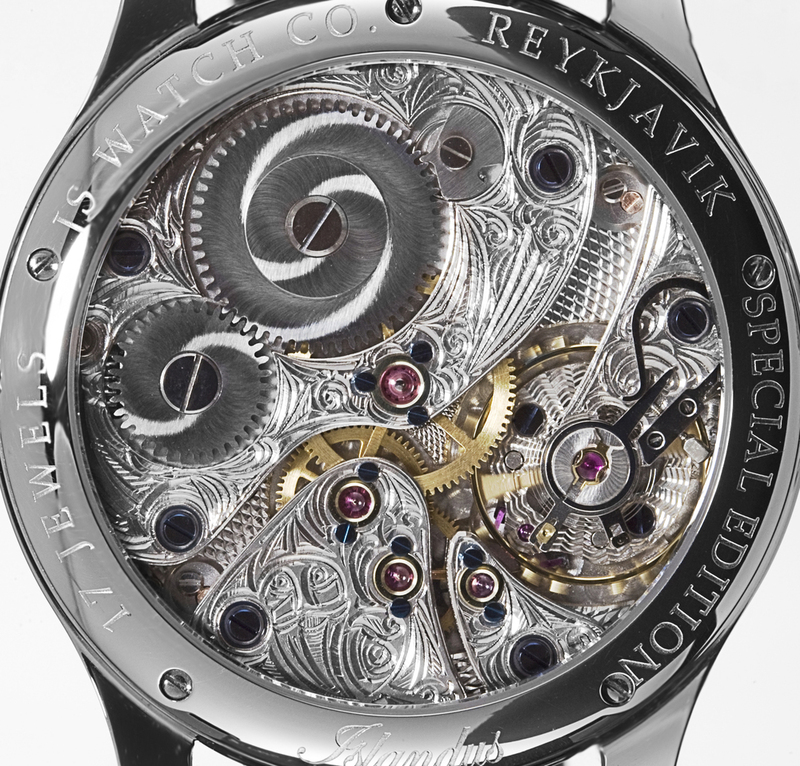 Is JS Watch co. Reykjavik, from the middle of the Atlantic Ocean, one of the watch industries best kept secret? The Frisland Goð Special Edition is a tribute watch that pays homage to the destructive power of the country’s volcanoes. Based on the brand’s popular Frisland collection, this special edition has the name Goð etched onto the dial in a vivid red hue. The polished black dial is actually a carefully applied layer of volcanic ash taken from the Eyjafjallajokull cloud that grounded European air traffic for weeks in late 2010. 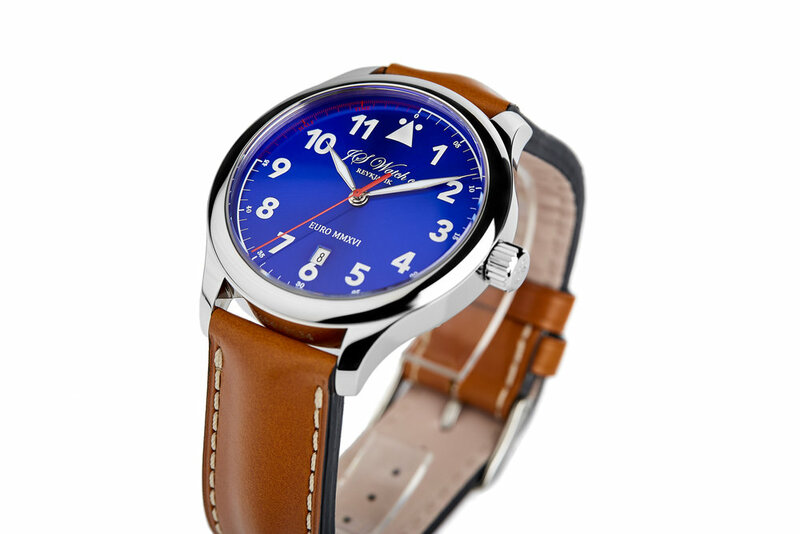 Assembled by hand, the case is made from 316L surgical steel and water resistant up to 50 meters. 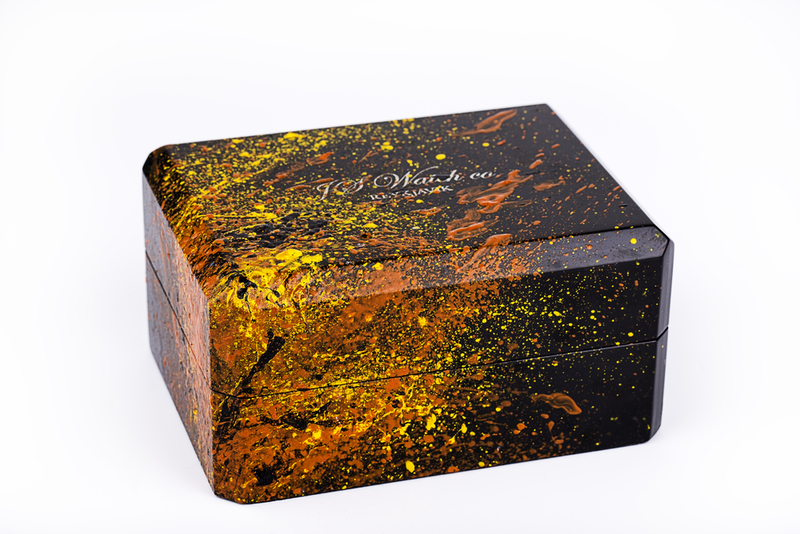 It protects an automatic movement, customised to JS Watch’s specifications. 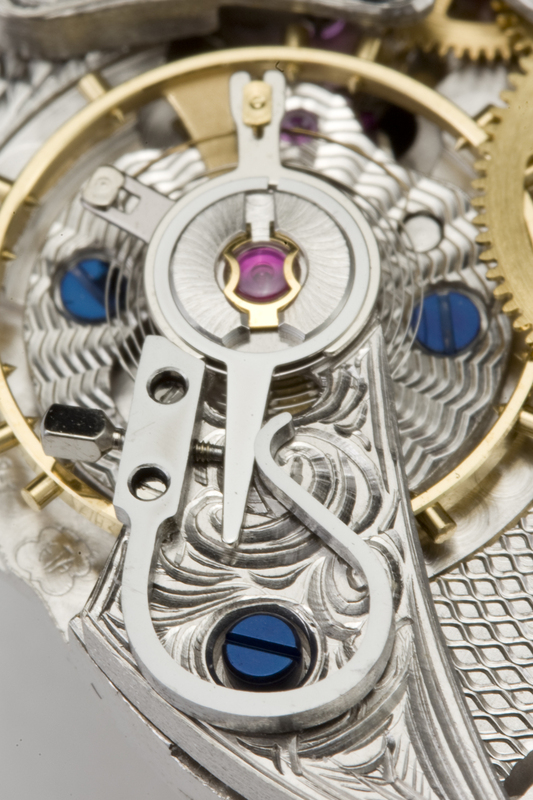 The finished product has a power reserve of up to 38 hours and is visible through a sapphire case back. 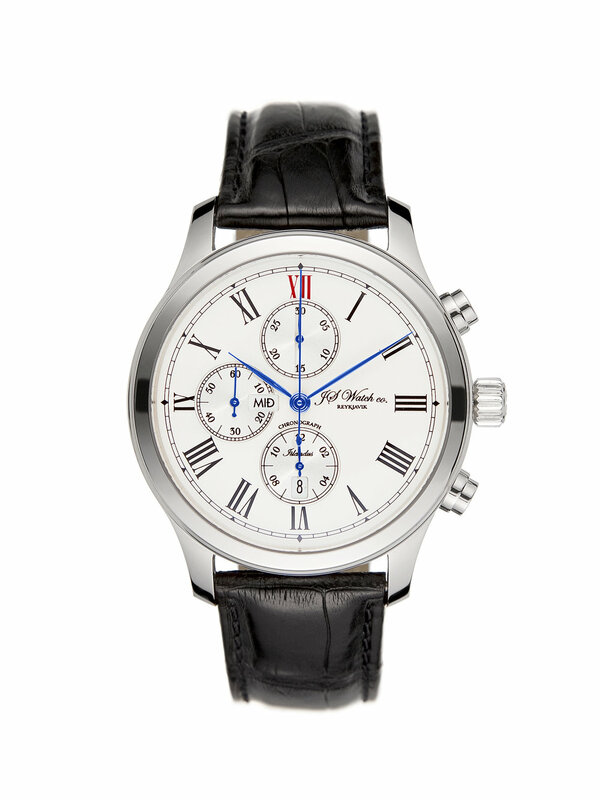 The simple, bold aesthetic continues with oversized white roman numerals at the 12 and 6 o’clock positions. Plain white indices complete the hour markings and a red sweeping hand compliments the finish. Using medieval (and prior) Iceland history, JS Watch came up with an attractive design to engrave all over the 42mm wide steel case of the Frisland God piece. 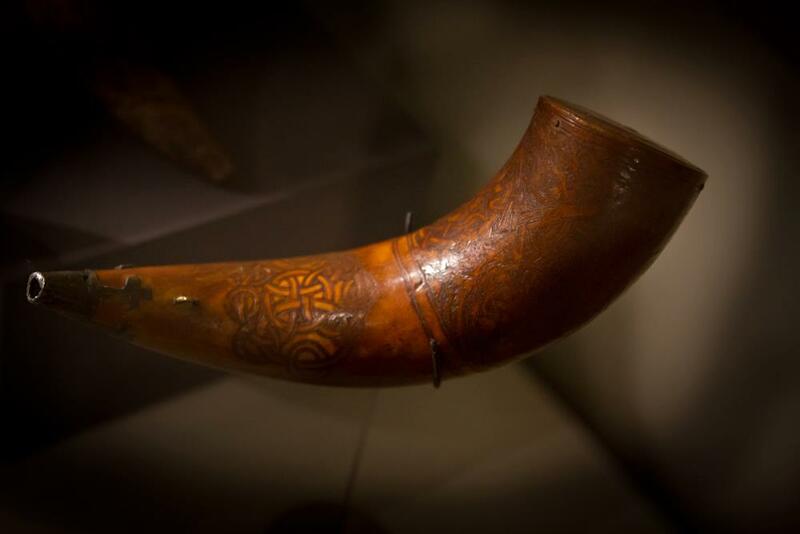 Designers spent a lot of time looking at old Icelandic artifacts for inspiration. 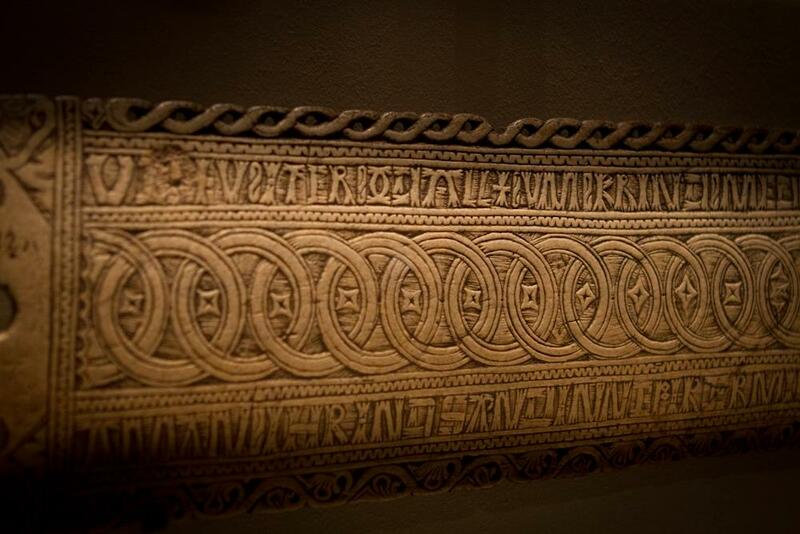 On one side of the case is space for an engraving in the ancient Höfðaletur font. It says "Iceland" by default, but JS Watch recommends that each customer order a custom engraving (such as their name) to be spelled out in Höfðaletur. The watch is only available by custom order and it will be possible for those interested to have the original "Höfðaletur"-text changed Into something personal like the name of the buyer for instance. The Islandus Special Edition of which only 10 were made. Generously proportioned at 44mm this timepiece features a manually wound movement with a hand-engraved Icelandic Viking design on the movement. 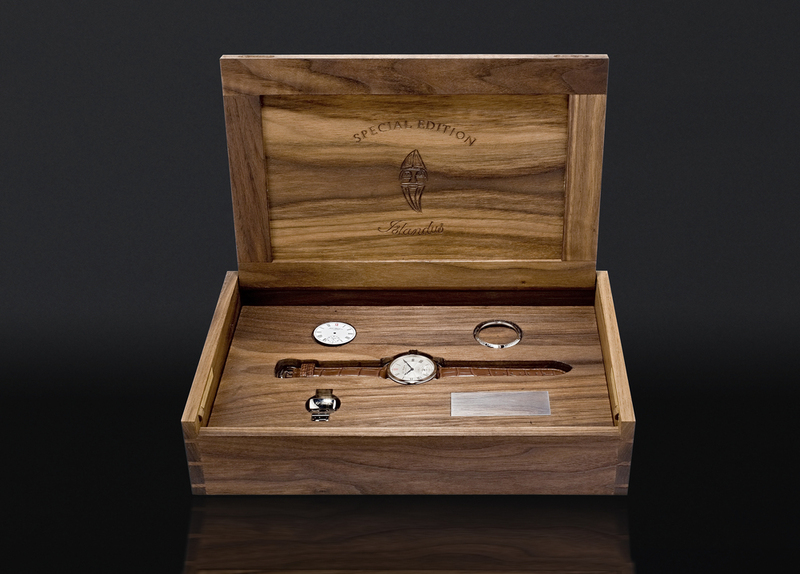 With Breguet blue steel hands, a sterling silver dial guilloched by hand and an Alligator skin strap and presentation box handmade and hand carved by an Icelandic artist. Sadly for potential buyers, the timepiece was snapped up quickly and there are no longer any available. 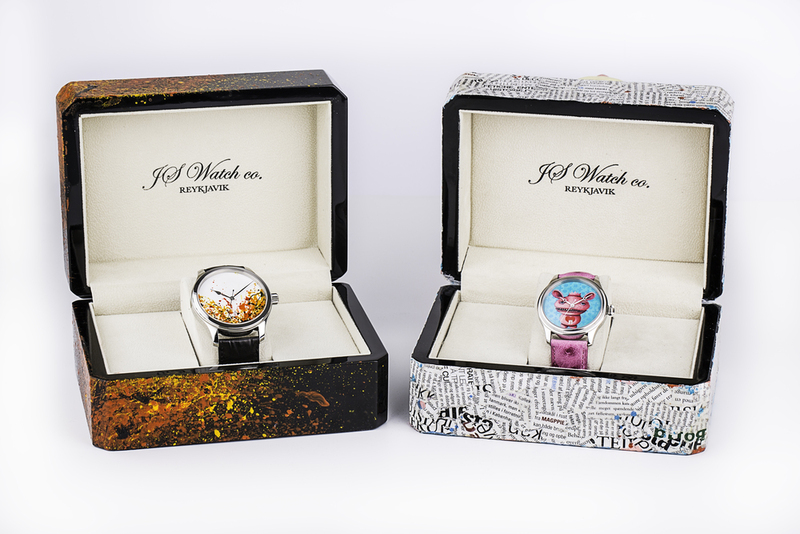 In the past JS Watch co. Reykjavik has joined together few of the most prominent artists in Iceland, in order to support KRAFTUR, a society supporting young people who have been diagnosed with cancer, and their relatives. 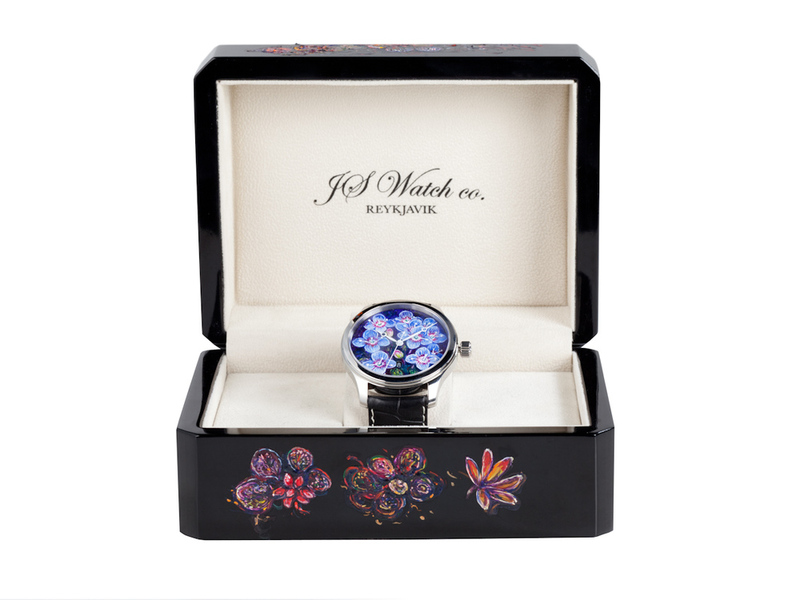 The artists designed ornaments for the dials on wristwatches from JS Watch co. Reykjavik and they also designed ornaments on the accompanying watch boxes. These watches were then auctioned off to raise funds where the entire proceeds went to KRAFTUR. 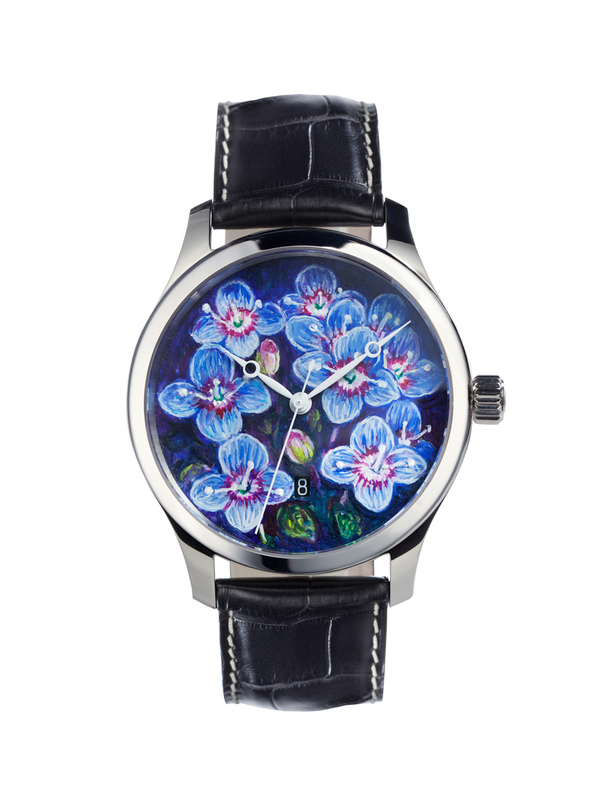 The dial by Eggert Pétursson is painted by hand depicting a small flower: Rock speedwell (Veronica fruticans). 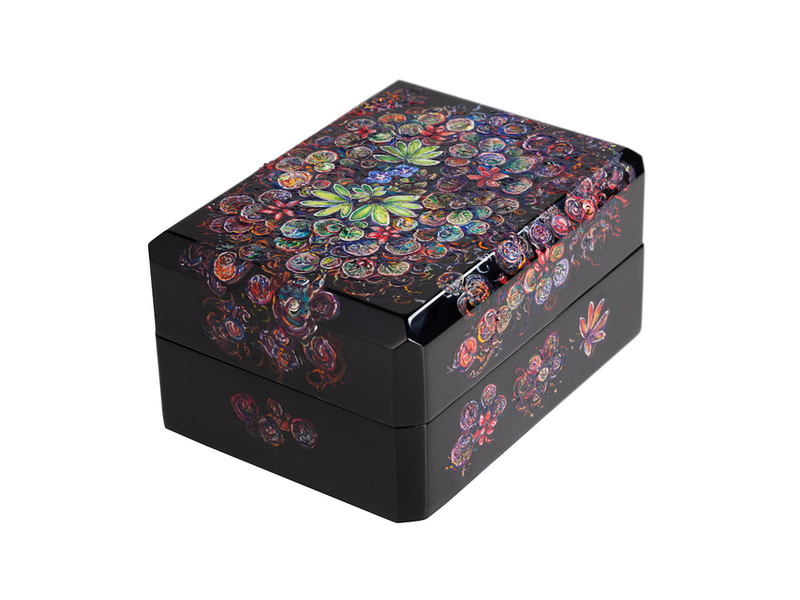 The box shows this flower amidst Alpine Lady's mantle (Alchemilla alpina) and Dwarf alpine willow (Salix herbacea). “In the recent years I have done a lot of going out and painting plants that grow in hollows or depressions up in the mountains. The snow covering the land acts as a shield for the delicate vegetation during the winter. 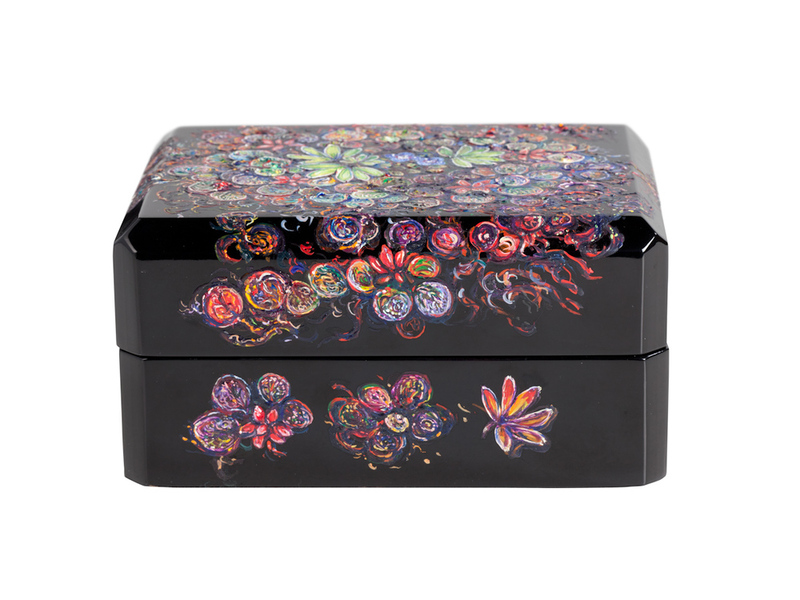 The plants depicted on the box grow in natural hollows that fill with snow during the winter. You can see the bright blue color of the Rock speedwell glittering among the Dwarf alpine willow and the Alpine Lady's mantle.” Explains Eggert Péturson when asked about the work. 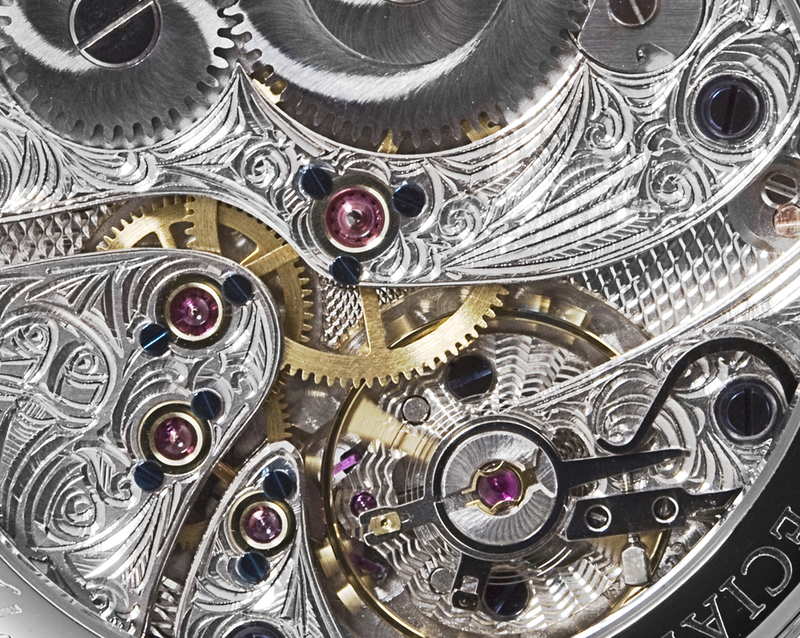 ￼The watch adorned with Eggert ́s work is a JS Watch co. Reykjavik - Islandus 44mm wrist-watch, with a self- winding high-quality mechanism which has been decorated by hand in a unique fashion and is visible through a display back. The dial by Erró has a copy of a painting made by the artist in 1992 entitled “Facescape” where portraits of extra characters from American comic books are shown as a crowd of spectators at a football game. 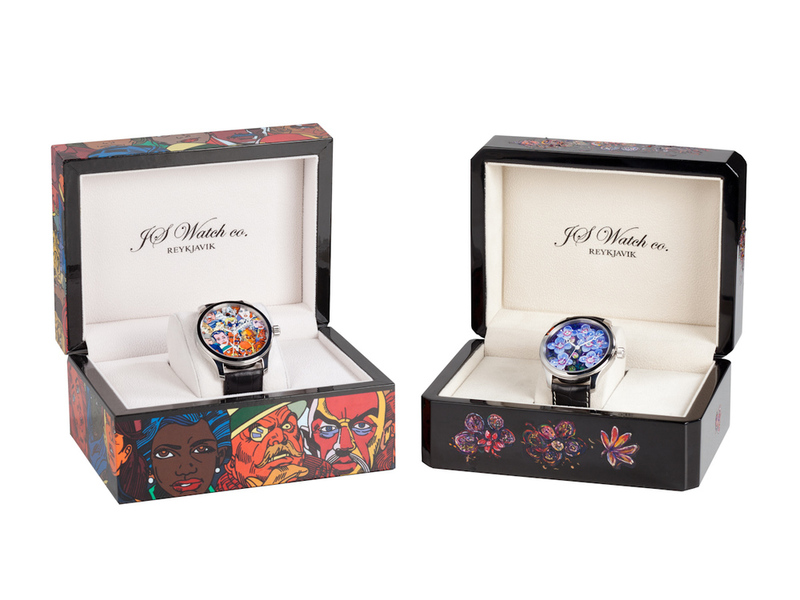 In 1999 the artist created a round formed image based on this same work and this image adorns the dial, and the Facescape painting adorns the watch box. The watch which is adorned with Erró ́s work is a JS Watch co. Reykjavik - Islandus 44mm wrist-watch - with a self-winding high-quality mechanism and a handmade 18- Carat gold weight, and is adorned with handcrafted decorations and is visible through a display back. 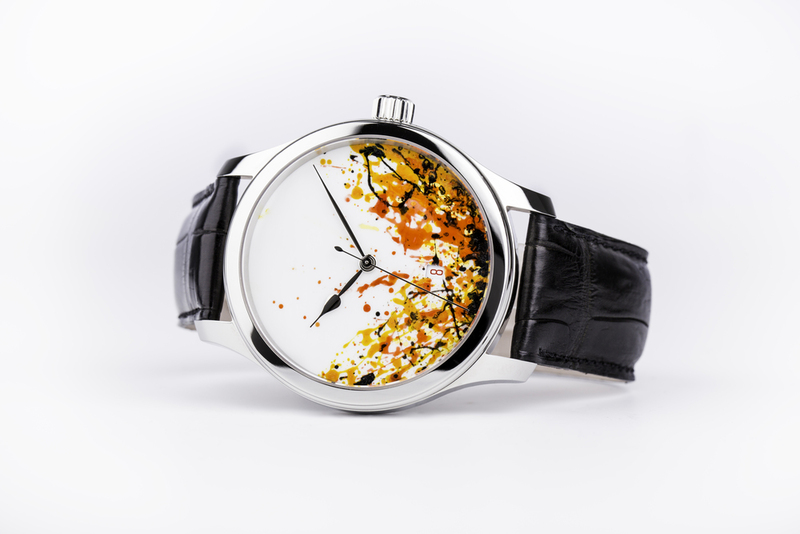 The dial by Tolli is painted by hand depicting Fire and Volcanic Eruption "I fount it very exciting to incorporate something as big and powerful as a Volcanic Eruption into something as small as a watch, when I saw the dial I realized that abstract flow over the white face would look beautiful." Explains Tolli when asked about the work. 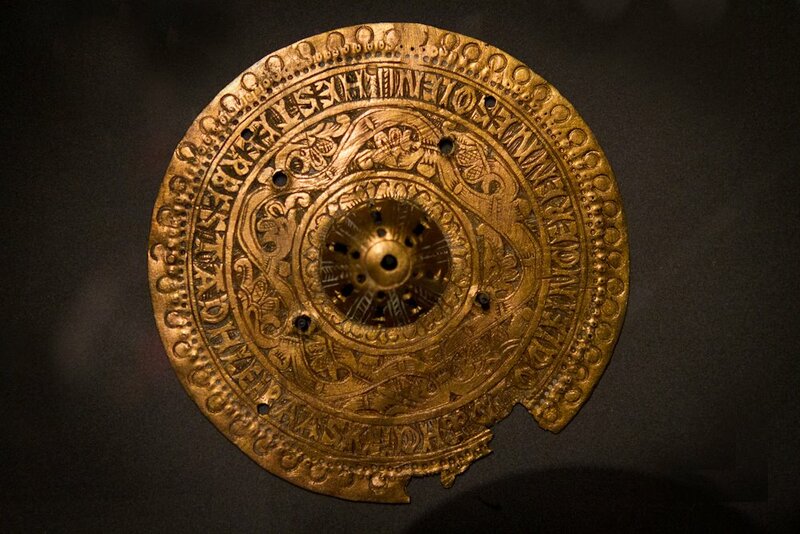 The dial by Lína Rut has a copy of her character Happy Face, “I wanted to create a character that would please the eye and attract attention. The smile of the character reminds us of the joyful faces of children. 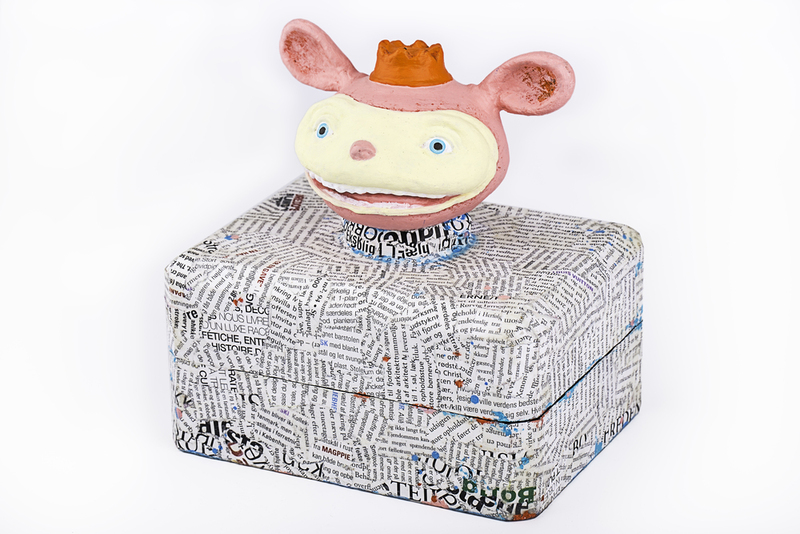 Happy Face was created to collect funds to support the disabled, chronically ill children and their parents in Iceland and also to support Kraftur.” Explains Lína Rut when asked about the work. 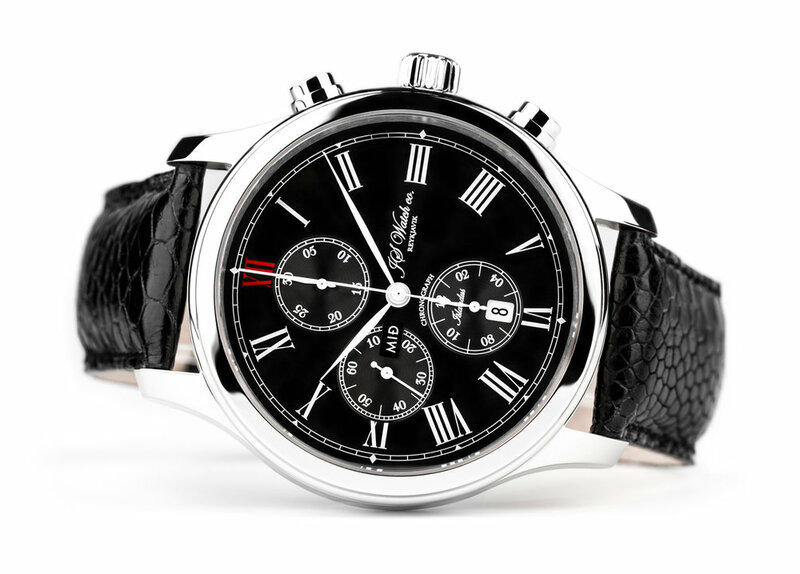 The Islandus Chronograph limited collection of 100 was available in a 44 mm steel case with a choice of black or white dial with Roman numerals, Rhodium plated hands, Ostrich, Alligator or Steel bracelet. Day and Date display is located at 6 and 9 o'clock. 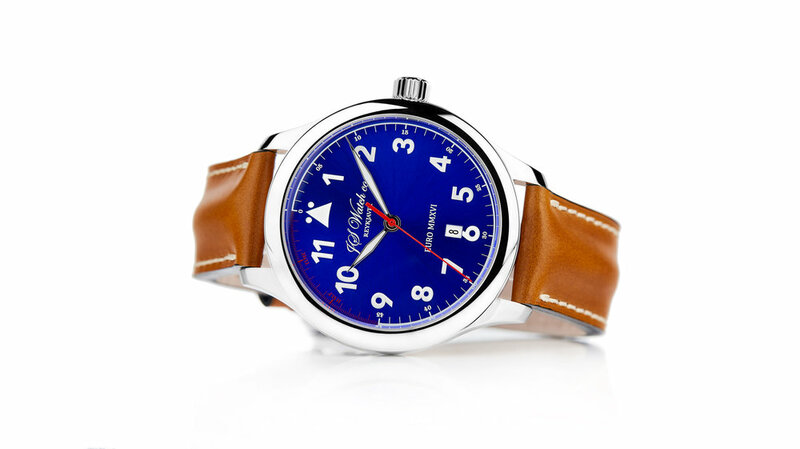 It has a Swiss Made Mechanical movement “Execution Top” with Automatic winding, 25 jewels, Custom decorations, Blue screws and Rhodium plated finish which can be examined in detail, through a sapphire crystal case back. All decorations and craftsmanship is of the highest quality. The EURO MMXVI Limited Edition, was created in for and in special celebration of Iceland men’s national football team qualifying for the UEFA championship for the very first time. With a population of around 330,000, Iceland is by far the smallest nation ever to qualify for the European Championship.